Ravi is responsible for the overall vision, strategy and execution at DeltaX. 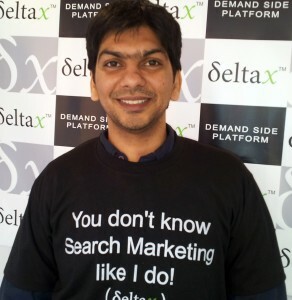 With many years of representing the buyer side in both Agency and Advertiser roles and having developed deep expertise in targeting, bidding and optimization across publishers, ad networks and exchanges, he felt the need to reorganise the fragmented online marketing landscape by integrating cross-channel media buying, audience data and predictive analytics into a single digital advertising platform – this was the foundation on which DeltaX is built. 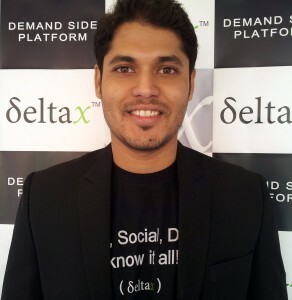 Akshay is the Co-founder at DeltaX where he drives the Technology and Product roadmap. His expertise in cloud-computing and building web-scale distributed systems coupled with deep understanding of the ad-tech ecosystem over the last 10 years has been one of the key drivers of the rapid pace of development for DeltaX’s product line. Akshay is also a technical reviewer for books on upcoming technologies and a hackathon specialist having won over 6 hackathons of local and, international repute. We’ve brought together an amazing team here at DeltaX. We are a group of digital marketers, technologists, data scientists, hackers, designers, runners, cooks, painters, hikers and more. The core of what brings us all together is our passion for solving complex problems, creating new possibilities, and helping those we work with succeed. We stand united in our mission to make Digital Advertising better for everyone. Excited about Digital Marketing or interested in writing code at Internet scale?